How can we be so wrong about Thomas? This year St Thomas’ day falls on a Sunday – July 3rd, and so we shall be celebrating it in place of Trinity 2. It also happens to be the seventh anniversary of my ordination to the priesthood; and I had been ordained to the diaconate on St Peter and St Paul’s day the previous year. I do not know whether my parents had some sort of foresight, but I was baptised Peter Thomas. So I have a special place in my heart for both of them. We tend to think of Thomas as the doubter. But did he really doubt any more than the other disciples who did not believe Mary when she told them she had seen the Lord? And even when they went to the tomb to check for themselves, did they believe that Jesus had risen? No, only that the tomb was empty. And even when Jesus appeared to them in the locked room and said ‘Peace be with you’, did they believe that Jesus had risen? No, that did not happen until he had shown them his hands and his side. Of course we know that Thomas was not present on this occasion and refused to believe Jesus had risen until he had seen Jesus for himself. In fact until he had touched the wounds and put his hand in Jesus side. Then he not only believed that Jesus had risen but he exclaimed ‘My Lord and My God’. He fully recognised Jesus as God. It seems to me he was no more a doubter than the rest and perhaps a good deal more discerning. What else do we know about Thomas? When Jesus suggested they go to Judea to be with Mary and Martha at the death of their brother Lazarus, the disciples were not at all keen. After all, the last time they were there the Jews had wanted to stone Jesus. Thomas is the only one to say that they should go even if that meant going to die with their master. A brave man. The only other thing we know about Thomas relates to the time when Jesus told the disciples that there were many rooms in his father’s house, and he was going to prepare a place for them. It was Thomas who said that he did not know where Jesus was going, so how could they know the way? An inquiring man. It seems to me that Thomas is not such a bad example to follow. We could all do with a bit more searching into the meaning of what we read in the Bible. After all, the theologians are still disagreeing amongst themselves 2,000 years on. Perhaps they still have not got the message quite right. So we should perhaps be a little more doubting and a little more searching and a little more discerning. And as for bravery, we could all do so much more to overcome our own fears of ridicule and spread the Good News of the Kingdom of God beyond our church doors. Helen Bailey, to be ordained Priest at Christchurch, High Harrogate, where she will continue to serve her curacy. During Lent this year between sixty and seventy people from across the Team took advantage of a variety of opportunities for study, reflection and worship. About fifteen people went up to Glenfall House to journey through Lent with speakers who had themselves made a pilgrimage which had had a significant effect on their lives. Others opted for a time of meditation and worship at St Mary’s, Prestbury, to the accompaniment of bell-ringing and concluding with Compline. Almost fifty people took part in Lent Groups using the Lectio Divina method of Bible Study. Six house groups were attended by members from all of our churches; one group offered food for the body and the soul in the context of a Lent Supper. On 21st May five members of the Prestbury Local Ministry Team attended a Celebration of Local Ministry at Gloucester Cathedral, where the theme for the day was ‘Growing Disciples’. In the program we were told that Bishop Michael believes that discipleship is the basis on which any ministry builds. There were representatives from many of the Local Ministry teams and we were able to meet people from around the Diocese. We were welcomed by the Bishop of Tewkesbury who introduced members from two ‘new’ teams and asked them to tell us what it meant to be called to be part of the Ministry team. Bishop John then led a Bible study based on Luke 24:36-53 during which we were all invited to discuss the passage with each other. It was so interesting to learn about the successes and struggles other teams experienced as it appeared to mirror our own, especially their initial feelings when they were chosen by their congregations, a feeling of incredulity and humbleness mixed together. We were asked to read the Bible passage and then talk about it with our ‘neighbours’. Following this there was a service during which a new Local Ministry Team from St Peter’s Leckhampton was commissioned. Members from five other teams were welcomed following a period of review and renewal. During the service a selection of people participated in the readings and prayers and the Prestbury team members took part in a reflective reading at the end. The organ was played by the Cathedral Organ Scholar, Ben Morris. The Celebration ended with lunch and the opportunity to meet old friends and make new ones. 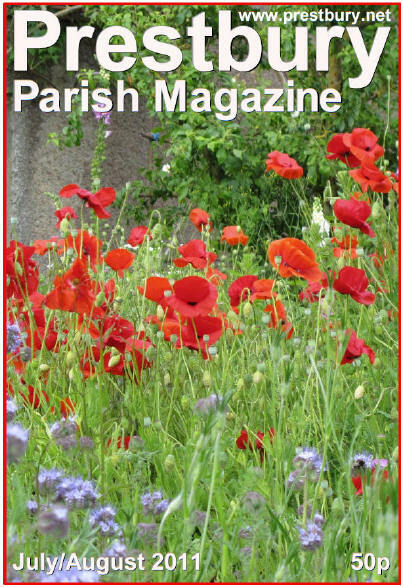 I have decided that it is time for me to hand over editing the parish magazine. I have very much enjoyed the years I have spent in the job, and have gradually developed the role into quite a bit more than it entailed when I took it on. It could now quite easily be divided between two or more people if they wished to do that. If you are interested in taking it on, or would like to know more about what is involved, please speak to me or to one of the clergy. Despite wind one day and rain the next, garden-lovers came in large numbers to see fourteen of our gardens. As the visitors criss-crossed the village, maps in hand, they chatted together, comparing notes on gardens already seen and yet to be enjoyed. 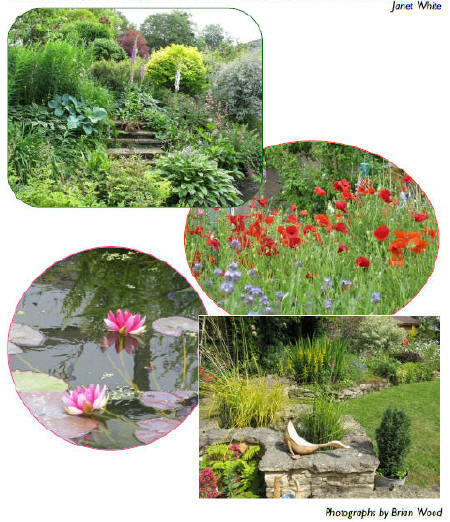 Thanks are due to the owners who worked so hard to have their gardens at a peak of perfection, and the helpers serving the delicious cream teas in St Mary’s. The weekend’s profits amounted to £3,730 including £808 from the teas: a welcome boost to church funds. On Tuesday 31st May members of Prestbury Mothers’ Union, together with friends and family, enjoyed a visit to Glenfall House. We had time for a chat and a drink before our lunch was served. After a delicious meal everyone was invited to explore the beautiful grounds or to relax in the house. At three o’clock Father Peter led a service of prayers, psalms, readings and music in the Chapel. Our thanks go to the staff of Glenfall House for their hospitality and friendship, and also to Sylvia McKenzie, our Branch Leader, for arranging such a lovely afternoon. I attended my first Deanery Synod meeting in June. It was held in the multi-purpose space towards the rear of St Matthew’s Church in the centre of town. Some fifty lay people and clergy were present and (my guess) twenty or so sent apologies. The business began on time with the Revd Dr Tudor Griffiths in the chair at his first meeting. He has recently been appointed Rector of St Mary and St Matthew, Cheltenham, and Cheltenham Area Dean. He read from John chapter 17 and reminded us our focus is Jesus and our concern is for the glory of God. 16th July at noon at St Mary’s, Cheltenham, Bishop Michael will be holding a service as part of this year’s pilgrimage in the Diocese. Anyone is most welcome there and/or to join him for part of the walk. See diocesan website for details. 1st September at 12.30pm also at St Mary’s, Cheltenham, an extended (one hour) time of lunchtime prayer. 23rd May 2012 the Olympic flame will be at the Racecourse while it is en route to London for the start of the Games. Mark this date! The Deanery coincides roughly with Cheltenham town. It provides an opportunity to share information and resources. It encourages building on new initiatives and best practice. God’s mission to our town. Get religion into the Cheltenham Festivals. Charlton Kings will put on a contemporary Passion Play in 2012. St Michael’s have begun a new and new format evening service. Both the South Cheltenham Team and Christ Church are doing doorstep visits to seek prayer requests from local people. The West Cheltenham Churches are excited about the soon to open Academy. St Matthew’s are running ‘Exploring Christianity’ using St Mark’s gospel. The Glenfall Fellowship is looking for a building to suit their expanding needs; it currently meets in St Edwards Junior School. It was observed that the clergy, who meet on a regular basis in other forums, enjoy a familiar relationship amongst themselves and it could be valuable for the lay members to try to get to know each other in order to develop similar relaxed and informed relationships. The next meeting is to be held at Holy Apostles Church on 9th November. Please pray for that meeting, the business, the members, the churches and for those who have nothing to do with our churches but whom we seek to serve. Amongst all the abundant vegetation seen on or beside the Amazon River, the one that stood out for me, because of its size and beauty, is the water lily. Let me tell you the story of how the flowers grow and propagate; it’s quite amazing! They grow in big clumps (communities), their leaves touching each other but turned up at the rim to provide a good resting place for tiny frogs and grass hoppers and stepping stones for lighter wading birds. Each leaf is about one metre in diameter, and the underneath of each is covered with tiny needle-like thorns. They are attached to the bottom of the river by long roots. The flowers look like round balls when they are in bud; the next stage is a beautiful plain white flower which appears in the early morning sunshine and gradually opens a little way. This is to allow beetles to crawl inside. The flower then closes again and stays shut for another day or so, whilst growing larger and gradually changing colour from white to the very palest pink, eventually opening into beautiful dark pink flowers. Once the flower is completely open, the beetles crawl out from inside and go across the giant leaves to find another opening bud. 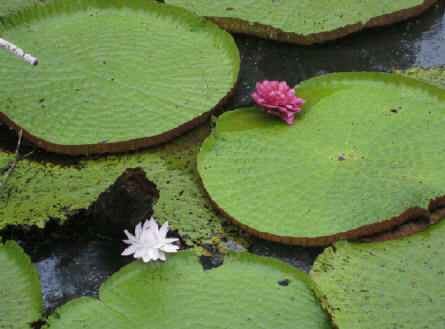 I was thrilled when we saw a water lily pad in a pond here in England and could identify the different stages of flowering which were the same. I wondered whether the size of the beetles shrunk with the size of the flowers. I hope so!! I am the true vine, and my Father is the husbandman. Every branch in me that beareth not fruit he taketh away: and every branch that beareth fruit he purgeth it, that it may bring forth more fruit. Now ye are clean through the word which I have spoken to you. Abide in me, and I in you. As the branch cannot bear fruit of itself, except it abide in the vine; no more can ye, except ye abide in me. I am the vine, ye are the branches: He that abideth in me, and I in him, the same bringeth forth much fruit: for without me ye can do nothing. 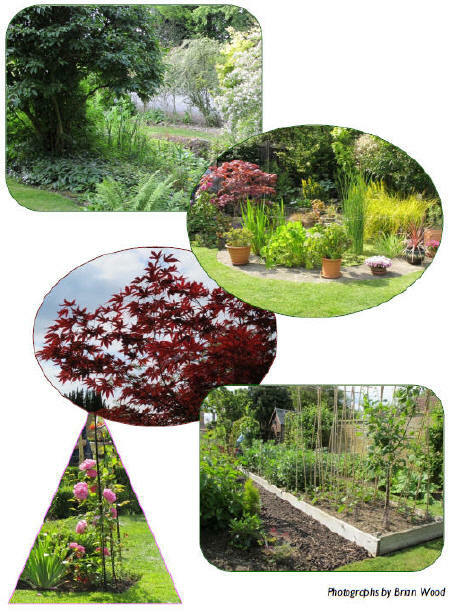 Judging from the kaleidoscopic colours, the rich foliage and the abundant fruit and vegetables on display during the Open Gardens weekend in June, Prestbury residents are avid and successful gardeners. Despite unusual amounts of winter snow, high winds and prolonged lack of spring rain this season, large numbers of plants are doing just fine. Most of us have some first-hand experience of gardens: whether as somewhere to kick a football, to dry the washing, to dig for exercise or to sit in the sun, it is something we are familiar with. It is arguably for exactly this reason that Jesus, the arch-communicator, used the vine and gardener example as an accessible and helpful way to teach his followers. It was an illustration they knew so well from their everyday life in the Holy Land, where grape vines give shade from the heat of the sun and, in due course, both food and drink. Well-tended vines had long held an important place in Hebrew life and culture, whereas untended vines rapidly become a tangled poorly fruiting liability. The role of the gardener, or, in the King James Version of the Bible, the ‘husbandman’, is essential. Jesus stresses the interconnected nature of himself and his heavenly father, and of himself and his followers. Jesus’ listeners will have been familiar with the Song of the Vineyard from Isaiah 5:1-7 where a parable written in the form of a love song tells of a vineyard which, despite being carefully created to ensure the vines should produce a top crop, brought forth only bad fruit. The meaning being that when the Lord Almighty ‘looked to his people for justice he saw bloodshed; he looked for righteousness, but heard cries of distress’ (Is 5:7). In Jesus’ ‘vineyard’ words he is the additional factor in the equation; he is why it is possible for the vine to produce true fruit. The work of his father is in caring, providing, tending, supporting, weeding, pruning and where necessary cutting whole useless branches off. The word ‘abideth’ in the final verse put me in mind of the hymn which many find a great comfort through some of life’s trials: ‘Abide with me: fast falls the eventide, the darkness deepens; Lord with me abide’. It is probably easier to recall lines from hymns that we sing because we carry the tunes in our head and we link the words and the music. Since you will not be able to read a further Prestbury Parish Magazine until September perhaps you might like to use some of the long, hot, lazy days of summer to commit to memory one of the verses at the top of this page which you find to be especially pertinent to you and your faith. And then pray for God’s wisdom to discern what his message is for us this summer and how we might pass it to those whose paths we cross in our everyday activities. 2.00pm A Strawberry Fayre at the Moat House, Moat Lane, Uckington. Strawberry cream teas; brass band; stalls. In aid of St Mary Magdalene, Elmstone Hardwicke. 6.00pm Pig Roast, St Mary Magdalene, Elmstone Hardwicke. A great social occasion! Pork baps; Licensed bar; stalls. 3.00pm ‘Praise in the Park’, Swindon Village. band in Swindon Village park. Followed by tea. NB There will not be any other evening services across the Team Ministry on this day. When the Education group last met, we felt that it would be good to find out more about our ecumenical neighbours. A visit to Cheltenham’s Free Evangelical Church on Whaddon Road has been arranged for Tuesday 12th July at 7.00pm, when Jonathan Hunt, the preaching elder, will be happy to welcome us. We can take up to 30 people, but if this date is not convenient for some people, or a large number want to attend, it will be possible to arrange a second visit. Please contact Deacon Jennifer if you would like to go. Musica Vera is once again giving a Summer Concert in aid of Sue Ryder, and will sing Daniel Jazz and a selection of varied partsongs, conducted by Oliver Mason, and accompanied on the piano by John Wade. Tickets are £9.00, to include refreshments, at the door, or from Cheltenham Tourist Information Centre, 77 Promenade, Cheltenham, Tel 01242 522878. Children under 16 free. All proceeds will go to Leckhampton Court Hospice. Musica Vera will be performing the same programme of music at St Nicolas’ Church on Wednesday 13th July at 7.30 pm. The Choir will be joined by students from the Helen Gill School of Ballet, who will give a short display. Admission is free, but there will be a retiring collection in aid of Church Hall improvements. At the time of the annual meetings in April we were not able to elect a second Churchwarden with responsibility for St Nicolas’. We have now received a nomination and will need to hold an election. This will take place during a Meeting of Parishioners following the 9.30am Sung Eucharist at St Nicolas’ on Sunday 17th July. All who live in the parish and all who are on the electoral roll are entitled to attend. The meeting will be very short! If there are any further nominations, these can be added to the forms in either church. We extend our very grateful thanks to Sue Bolton for being willing to cover this period for us. Thank you to all who supported last month’s stall, both baking and buying. We were able to give £50 to MACS (Malawi Association for Christian Support) towards a retinoscope. This month’s stall is on Sunday 17th July and we invite the G-M team to supply the cakes. There will not be a bakestall in August. If you would like to join our baking teams, please have a word with one of us. A summer barbecue will be held in the garden of the Plough, Mill Street, from 12.30 to 2.30pm on Sunday 24th July. This is a chance for ‘Friends’ (and their friends and families) to meet informally and enjoy an inexpensive meal: there will also be hot dogs, at a special price, for children. For gentle athletes the ‘boules’ court will be available and we are also hoping to have broad-appeal live music of our choice. The Plough supported the Open Gardens event last month and the Friends are grateful for their financial contribution towards this barbecue. Tickets, at £7.50, which can only be obtained in advance, are available from Phil Dodd and Jim Mackie. The Prestbury Mothers’ Union next meets on Tuesday 26th July at St Nicolas’ Church at 7.30pm, when our speaker will be Tracy Stephens who is coming to tell us about Hearing Dogs for Deaf People. Everyone most welcome. I am very pleased to say that Prestbury will be taking part in this national event this year, and in a rather different form. In past years it has been organised and run mainly by members of St Mary’s congregations. This year, however, the Prestbury Local History Society, who meet monthly in the library, have offered to step in with a project entitled ‘People of Prestbury’, looking into the old families of Prestbury, and the Friends of St Mary’s are also keen to be involved. The new manager of the Plough has started work on tracking the Plough’s own history, so they will also be taking part in the Heritage Open Days, as well as serving teas. St Mary’s Church will be open for the event from 2pm to 5pm from 9th to 11th September. We will have the church registers in church for people to study as well as an exhibition of what we have all discovered. We hope to make it a real family affair. A Day to make a Difference for our Churches! An annual sponsored walk, bike or horse ride. Walkers and riders turn out to follow their chosen route between churches which open for the day. Many of them serve refreshments as well as checking you in and providing a friendly welcome, directions and moral support. You will have the satisfaction of raising money and the chance to see inside some historic gems which cannot always be open for visits. Half the money you raise goes to the church of your choice, the other half to the Trust. Even if you are unable to ride or stride, you can ask people to sponsor you to be there in your church during the day to welcome the riders and striders, or to carry out other specific tasks while you are there. Sir John Herbecq had a distinguished career as a civil servant: in the Treasury, with the Atomic Energy Authority and latterly as a Church Commissioner. On his own admission a talk entitled ‘The Civil Service as I knew it’ is unlikely to set the blood racing, but its interest will be in its light and entertaining touch as Sir John recalls situations familiar to viewers of ‘Yes, Minister’, albeit behind the veil of discretion one would expect from a former mandarin. This event will take place in St Mary’s Church on the evening of Saturday 17th September; the exact time will be given later. There will be drinks and light refreshments beforehand. Tickets, at £6, will be available from Phil Dodd and Jim Mackie. We send our love and best wishes to Fr David as he celebrates his 30th birthday this summer. Barn Dance to be held at St Nicolas’ on Saturday 8th October. Tickets to include a Ploughman’s Supper will be available nearer the date. More details to follow in the next issue of magazine. Following the count on the Sunday at the end of the collection week, I have received various late donations from both ends of the parish which have increased the overall total by £211.37 to £5,650.12. Thank you all for your support.